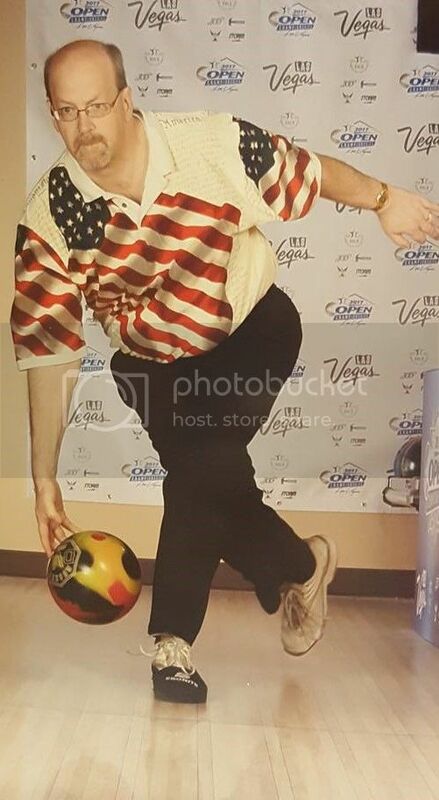 Visitreno :: View topic - Remember this photo of me from May 2016? Posted: Apr Sat 29, 2017 9:04 pm Post subject: Remember this photo of me from May 2016? 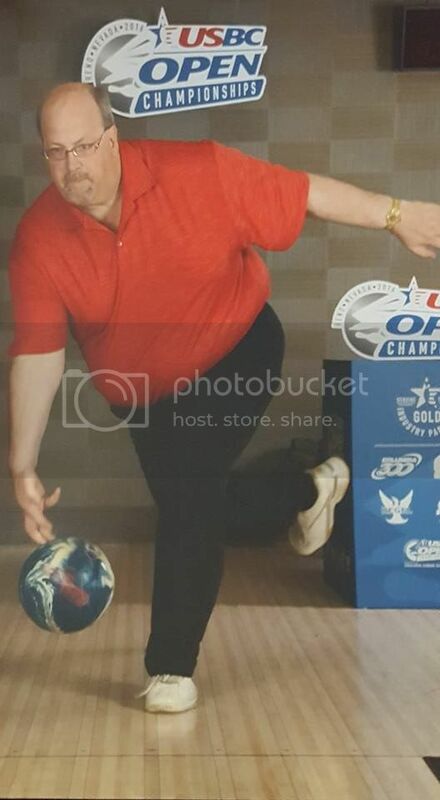 That was me, about eleven months ago when I was in Reno for the USBC Open Championships. This past week, I was in Las Vegas for this year's tournament. Notice a difference? Posted: Apr Sun 30, 2017 11:36 pm Post subject: Yes! In 2016 you curled your pinky up as you released the ball - not so in 2017. And you got a rad, cool, new (and several sizes smaller) shirt. Way to go! Posted: May Mon 01, 2017 5:42 am Post subject: Re: Yes! In 2016 you curled your pinky up as you released the ball - not so in 2017. Amazing how similar the two pics are in terms of capturing the moment of release. Posted: May Wed 03, 2017 1:13 pm Post subject: where did it go? Well, I can certainly see it. There is less of you and it is obvious to me. Do you mind telling us how much.?? Also, it appears you must have lost more weight on one foot over the other. It looks like you had to get a new left shoe. Posted: May Wed 03, 2017 4:46 pm Post subject: Re: where did it go? I was down 97# at the time I left for Vegas... just couldn't get down to the 100# mark (and I put on 3-1/2 back on). Shirt size down from 3XL to 1XL, pants size from 46 to 40. And that is actually a "slide sock" on my left shoe. My bowling shoes actually have interchangable soles, so that I can change to one that will give me more or less slide, depending on the condition of the approaches (for example, in summer they can be more sticky in the midwest, or on new installations they might be much more slippery until they get worn in). However, after my knee surgery in 2015, I couldn't find any combination for "regular" usage, so I bought an $11 slide sock and use it all of the time. Posted: May Tue 09, 2017 11:42 am Post subject: What's new!